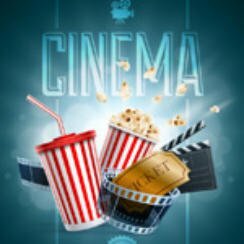 Popcorn Cinema Show takes a look at the weeks movie releases for 11th December 2015 in the UK, US, Australia and New Zealand at the cinema. It’s a quiet week this week with By the Sea and In the Heart of the Sea the only main releases. Star Wars & Star Trek Movies Together? Not really, but Digital Spy report that Paramount will show the trailer for the new Star Trek film (Star Trek Beyond) in cinemas before the new Star Wars film. The new Star Trek movie opens on 22 July in UK & US. Other Star Wars news, people are going slightly odd by starting queuing for Star Wars: The Force Awakens even though it’s only released on 17 December 2015. Several reports have Quentin Tarantino still mulling over Kill Bill 3. He has an idea but there is no release / production confirmed. We will keep an eye on this and let you know when it’s confirmed. Fear not if you are a fan of Tarantino as The Hateful Eight hits the cinema with a limited at Christmas in the US before opening wider as well as in the UK in January 2016. France mid-1970s, Vanessa (Angelina Jolie), a former dancer, and her husband Roland (Brad Pitt), an American writer, travel the country together. Not a lot to report for Austraila and New Zealand in the way of releases but the good news is Star Wars: The Force Awakens comes out on the 17th December 2015!!! So with very few new releases this week lets take move on to what’s already out with the top 10 box office movies. Not a spectacular week movie wise as the cinemas are seemingly clearing the way for a certain upcoming movie. Nothing of interest for us at Popcorn Cinema Show, By the Sea does not look like a classic!